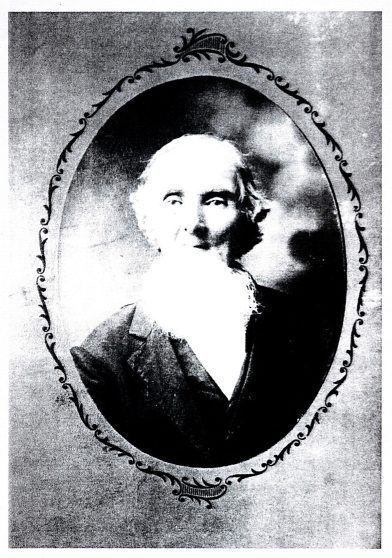 Leonard and his descendants are numbered from 1 to 194 in the book published in 2001, Descendants of Leonard Fretwell (1787-1836) of Lewis County, Missouri. Corrections and additions to those individuals are being made here. See No. 2, No. 6, No. 7, No. 8, No. 9, No 10, No. 11, No 12, No 13, No. 14, No. 17, No. 19, No. 20, No. 21, No. 23, No. 29, No. 30, No. 31, No. 32, No. 33, No. 34, No. 35, No. 37, No. 38, No. 41, No. 45, No. 46, No. 47, No. 48, No. 49, No. 56, No. 61, No. 62, No. 64, No. 67, No. 68, No. 72, No. 75, No. 78, No. 82, No. 83, No. 90, No. 93, No. 96, No. 97, No. 98, No. 99, No. 100, No. 102, No. 109, No. 110, No. 111, No. 115, No. 152, No. 154, No. 162, No. 163, No. 164, No. 165, No. 169. Click on the number, and add to your book. Descendant No. 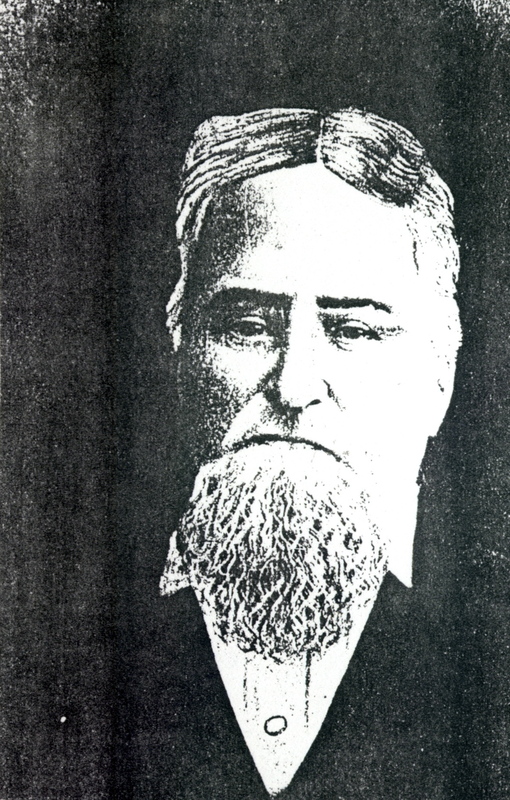 1 - LEONARD FRETWELL purchased five parcels of land in Lewis County, Missouri from the United States Government. All of the land patents were filed in the land office in Palmyra, Missoui. The first three patents are dated February 15, 1836 (Nos. 7054, 7055 and 7056) and were included in the book (p. 4). The land was in Sections 24, 25 and 26 of Lyon Township. The fourth patent is dated April 10, 1837 (No. 7907). It is for forty acres of land described as the Aliquot Parts SWNE [of] Section 31 [in] Twp. 62-N [Dickerson]. The fifth patent is dated August 1, 1838 (No. 7053). It is for 50.045 acres of land described as the Aliquot Parts S 1/2 2 NW [of] Section 31 [in] Twp. 62-N [Dickerson]. Note: Filed after the death of Leonard Fretwell. 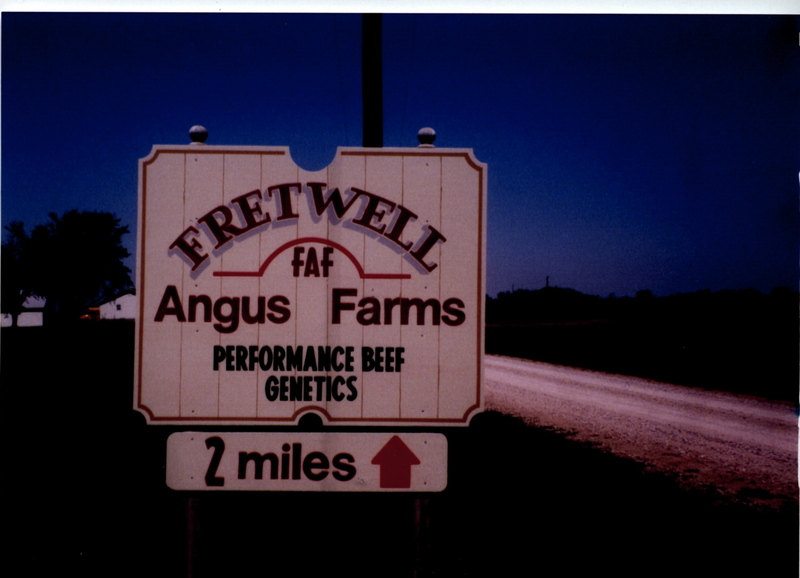 As noted in the book, “James S. Fretwell purchased his father’s property in 1850, Lots No. 1 and 2, Section 31, Dickerson Township, Lewis County, Missouri, from his brothers and sisters (p. 5). Leonard Fretwell purchased eighty acres of land on July 15, 1834, in Section 31, Dickerson Township, Lewis County, Missouri. The stream through the property (pictured above) was called the Fretwell branch. It still flows into the Fabius River north of Monticello. The above snapshot was taken in the spring in 1997. It shows the Fretwell branch from Highway A looking west about a mile north of Monticello. As noted in the book, Descendants of Leonard Fretwell (1787-1836) of Lewis County, Missouri (2001), (p. xxxii), the Fretwell branch appears in the Lewis County, Missouri, 1878, Atlas. Copies have been donated to the Library of Congress, the Reference Library of the State Historical Society of Missouri in Columbia and the library of the Lewis County Historical Society in Canton, Missouri. Descendant No. 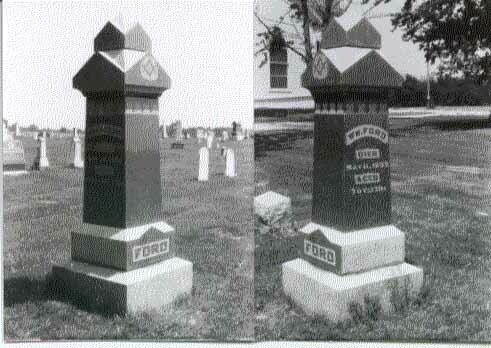 2 - JAMES S. FRETWELL was buried in the Tolona Cemetery, Lewis County, Missouri. His grave is marked with a tombstone along the abandoned railroad tracks in Highland Township, Section 36, west side of Highway #6 between Lewistown and Ewing. Descendant No. 6 - LUCINDA FRETWELL was buried in the Liberty Baptist Cemetery, Washington Township, Clark County, Missouri with her husband, Kerfoot. The cemetery is located in Section 2 in the southern half of Washington Township, Hwy. A northwest of Williamstown, Missouri. 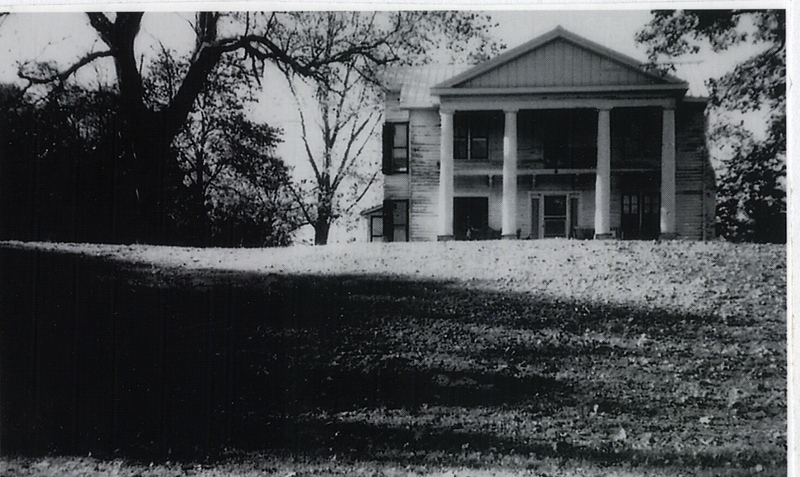 SOURCE: Original photograph in the possession of Estil Van Fretwell of Jefferson City, Missouri. SOURCE: Missouri Death Certificate No. 1636. Descendant No. 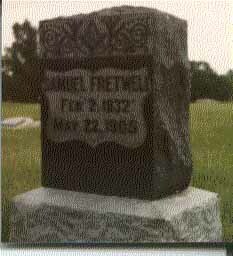 8 - ANN L. FRETWELL was buried with her husband, Eli Thrasher in the cemetery of Midway Methodist Church, Lewis County, Missouri. The cemetery is located in Twp. 62N, R8W - Section 19 at the junction of Highways Y & H at Midway, Missouri. Eli Thrasher and Ann L. (Fretwell) Thrasher. Copy from Josephine Thrasher, Henderson, Texas. Descendant No. 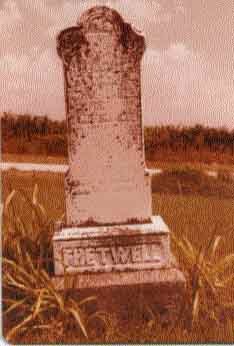 9 - Elizabeth Fretwell was buried in the cemetery of Midway Methodist Church, Lewis County, Missouri. The cemetery is located in Twp. 62N, R8W - Section 19 at the junction of Highways Y & H at Midway, Missouri. Yea, she reached forth her hand to the needy. Thomas Jefferson Fretwell home. One hundred thirty-two acres, more or less (SW 1/4 of the SE 1/4 of Section 33, Twp. 54 N, R 2 W and the NW 1/4 of the NE 1/4 and the NE 1/4 of the NW 1/4 of Section 4, Twp. 53 N, R 2 W), Pike County, Missouri. SOURCE: Copy from Ruth Mae (Williams) Kent. Descendant No. 11 - SAMUEL LAFAYETTE FRETWELL was buried in the New Woodville Cemetery. It is located along Hwy. W in Section Two of Washington Township, Clark County, Missouri. SOURCE: Photo from Marion Fretwell, Yakima, Washington. Descendant No. 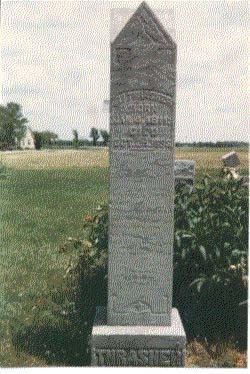 12 - KATHERINE FRETWELL was buried in the cemetery of Providence Baptist Church two miles east of Williamstown in Section 23 of Lyon Township, Lewis County, Missouri. Descendant No. 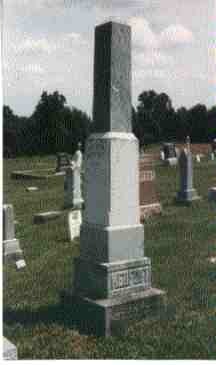 13 - MARY JANE FRETWELL was buried with her husband, William Ford, in the cemetery of Providence Baptist Church two miles east of Williamstown in Section 23 of Lyon Township, Lewis County, Missouri. Yr. Ds. 70 Ys. 13 Ds. Descendant No. 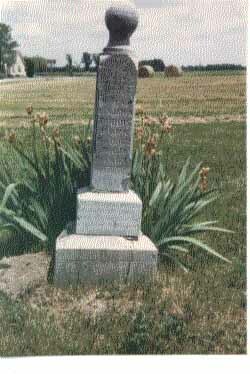 14 - FRANCES WARNER FRETWELL (1832-1923) was buried with her daughter, Ida Smyser, in the Glenwood Cemetery, Schuyler County, Missouri. The city cemetery is west of the town of Glenwood, Missouri. 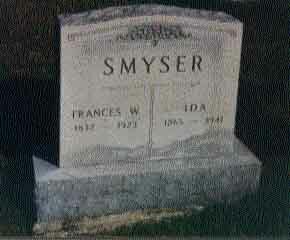 HENRY JOEL SMYSER, the husband of Frances, died in 1879 and was buried at Lancaster, Missouri. 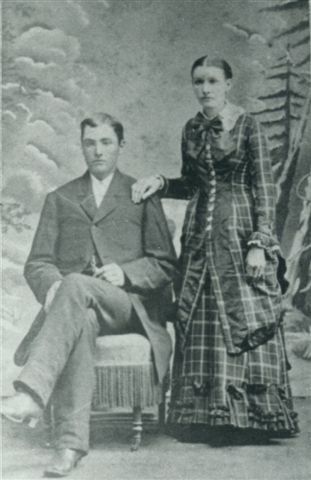 Henry Joel Smyser and Frances Warner (Fretwell) Smyser. Copy from Clover F. Fossum, Ojai, California. Descendant No. 20 - SIDNEY GREEN FRETWELL. Source: Photo owned by Judy Fretwell Gottman. SOURCE: Missouri Permanent Record of Births. Roll C 1725, No. 108. Descendant No. 21 - NANCY AGNESS FRETWELL m. James Thomas HIND, son of Nathan Woodford Bass HIND and Arrelda J. STEPHENSON. Committee, 1972. PP. 90 and 91. Descendant No. 23 - xii. FANNIE JETT. SOURCE: Missouri State Archives. Card File No. 394. Descendant No. 37 - ii. 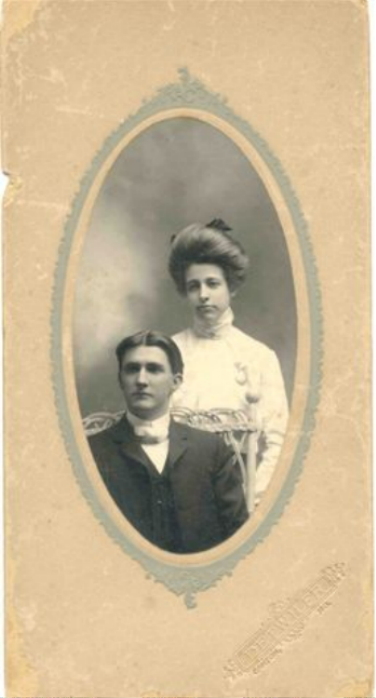 LAURA B. FRETWELL married James Harding MOSELEY on 20 December 1893 in Irwin, Barton County, Missouri. At the time, James was of Arlington, Kiowa County, Colorado. James Harding MOSELEY married second Geneva (spelled "Genevra" on the certificate of marriage) Earhart on 12 April 1903 at Virginia Earhart's in Barton County, Missouri. At the time, Geneva was of Milo, Vernon County, Missouri. SOURCE: Marriage records. Barton County, Missouri. SOURCE: Missouri State Archives. Military Records File. Descendant No. 38 - LAWRENCE DELMOND FRETWELL married Ellen Katherine HUDDLESTON. Baltimore, Maryland, son of Guy Link HESS and Catherine BARRINGER. Jacob Link. 1417-1951. By Paxson Link. 1951. PP. 453 and 639. Descendant No. 41 - CLARENCE LEROY FRETWELL m. Lillie Verna HUDDLE, daughter of William HUDDLE and Elsie WEST. Huddle. Strasburg PublishingHouse, Inc., 1930. P. 659. SOURCE Missouri Death Certificate No. 35033. Descendant No. 47 - JAMES HERBERT FRETWELL married Posie Tea TRUE 28 September 1907 Knox City, Missouri. Posie was born 28 July 1886, Newark, Missouri, daughter of Joseph TAYLOR and Ella P. ELSTON. SOURCES: The Elston Family in America. By James Strode Elston. Rutland, Vermont: The Tuttle Publishing Company, Inc . 1942. Michigan: G. S. Northrup, 1912. PP. 264, 266 and 269. SOURCE: Gail Jean Fretwell Hugger, Cupertino, CA (email 9/07). Descendant No. 48 - Clarence Jesse FRETWELL. Children (left to right): Hazel, Gladys, Vincel, Roby and Olen. Descendant No. 56 - JORDEN GIBSON FRETWELL m1 Mary Reed 31 July 1923, Okmulgee County, Oklahoma. No issue. SOURCE: Obituary: Idaho Press Tribute. Descendant No. 67 - MARION REYNOLD FRETWELL. Marion Reynold Fretwell died 23 March 2015, Yakima, Yakima Co., Washington (obit). Wife Pearl Letta Snider Fretwell died 30 July 2006. Pearl was born 5 November 1918 in Midvale, Idaho. She became a co - pastor with her husband, Marion Reynold Fretwell, at the Tieton Pentecostal Church in Tieton, Washington; their last Pastorate of 23 years at Emmanuel Assembly in Yakima, Washington. Pearl was buried at Terrace Heights Memorial Cemetery, Yakima, Washington. SOURCE: [Son] Marvin O. Fretwell (e-mail). Descendant No. 68 - ALLEN FRETWELL. Allen Fretwell died 16 September 2006 in Greenville, South Carolina. . He was born in Roswell, Idaho and graduated from Bob Jones University and Appalachian State University (master's degree). He was a teacher at Berea High School for twenty-seven years. Allen is survived by his wife, Jewell Keys Fretwell; his children: Bill and Paige Fretwell of Fullerton, CA, Darrell and Alicia Fretwell of Greer, Allen and April Fretwell of Greenville, and Jewell and Rob Scheuerman of Greenville. His daughter, Carolyn Fretwell, preceded him in death. Internment at Woodlawn Memorial Park, Greenville, SC. SOURCE: Obituary. The Greenville News. 18 September 2006. Descendant No. 83 - LOUIDAN GERTRUDE FRETWELL. Louidan Gertrude Fretwell died 22 November 1950, Portland, Multnomah County, Oregon. Louidan married second Barney Wood and lived in Texas until her divorce. 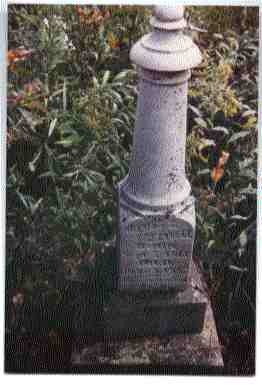 She resided at Estacada, Clackamas County, Oregon at the time of her death. Burial (unmarked grave): Lincoln Memorial Park, Portland, Oregon. SOURCE: Death certificate No. 12436. Clackamas County, Oregon. E. K. died 18 October 2012 Charlotte, Mecklenburg Co., North Carolina (obituary). SOURCE: James H. Fretwell. Obituaries in Charlotte Observer. Descendant No. 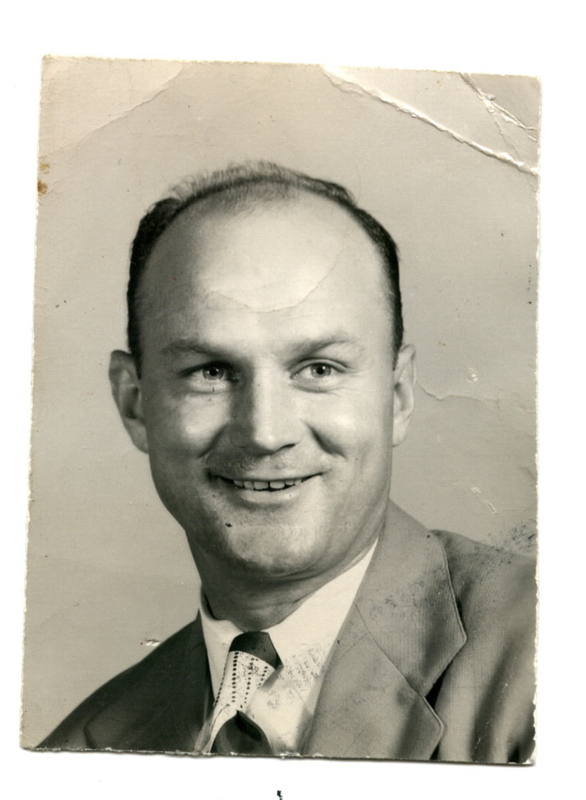 96 - JAMES TAYLOR FRETWELL, born 22 July 1909, LaBelle, Missouri. Vermont: The Tuttle Publishing Company, Inc., 1942. P. 304. Occ: Employed By U. S. Forest Service. Descendant No. 97 - i. HAZEL OLEAN FRETWELL. Descendant No. 98 - GLADYS MARIE FRETWELL died 5 May 2007 Jackson Co., Missouri. Descendant No. 99 - CECIL VINCEL FRETWELL. Died 21 February 2011, Mexico, Missouri. Burial: Cemetery @ Ten Mile Baptist Church, Canton, Lewis Co., MO. Wife Prycie Lydia Stephenson Fretwell died 20 December 2006 at the Moberly Regional Medical Center, Moberly, Missouri. Burial: Cemetery @ Ten Mile Baptist Church, Canton, Lewis Co., MO..
SOURCES: E-mail from Terry Fretwell (Prycie). Phone conversation w/Kathy Fretwell VanSchyndel (Cecil Vincel). Descendant No. 100 - ROBY ELLERY FRETWELL. Died 23 January 2003 Maricopa County, Arizona. Burial: Columbarium (cremation), Lakeview United Methodist Church, Sun City, Arizona. Adeline died 21 Jul 2001 Lee County, Iowa. Burial: Providence Baptist Church Cemetery, Williamstown, Missouri. Portrait of Roby Ellery Fretwell (ca 1951). 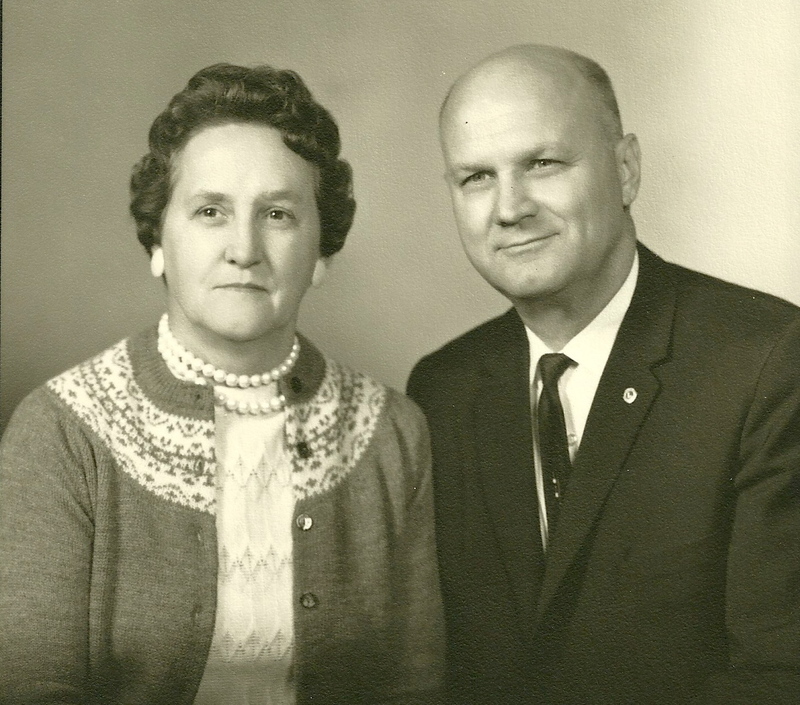 Portrait of Roby and Adeline Fretwell (Fall 1965). Descendant No. 109 - ALCENDA MAE FRETWELL. Child ii. Billie Jean Gerow m1 James Rogert LaBounty, 8 June 1944. Descendant No. 110 - CLYDE DAVID FRETWELL m1 Billie Overmeir -- March 1929. They were divorced and Billier later married _____ Carpenter. Descendant No. 111 - HAZEL MARIE FRETWELL married in Henryetta, Okmulgee County, Oklahoma. Descendant No. 152 - BRUCE S. FRETWELL married Elizabeth Maria BLAGOJEVICS 14 June 2003 Washington D.C.
Child (daughter) i - Alexa Elisabeth Fretwell. SOURCE: Correspondence by email (2005, 2007 and 2009). Descendant No. 162 - CHARLES CECIL FRETWELL. Died 11 May 2010, Cedar Falls, Iowa. Buried Providence Baptist Church Cemetery, Williamstown, Missouri. Memorials may be directed to the National Parkinson Foundation, 1501 NW 9th Ave., Miami, FL 33136-1494. Cecil wrote the HTML for this web site after his retirement in 1998. He was also diagnosed with Parkinson's disease at that time. He has turned the web site over to his daughter, Christine Fretwell Diesch, and she currently maintains http://www.fretwell-family.com. Shela continues to search for new members of the Fretwell family and add items to the whole Fretwell family. In 2001, we published a small book, Descendants of Leonard Fretwell (1787-1836) of Lewis County, Missouri. The book is about our branch of the family which begins with Leonard Fretwell (1787-1836) of Lewis County, Missouri. The book is sold out. Copies of the book were donated to the Library of Congress, the Reference Library of the State Historical Society of Missouri in Columbia and the library of the Lewis County Historical Society in Canton, Missouri. 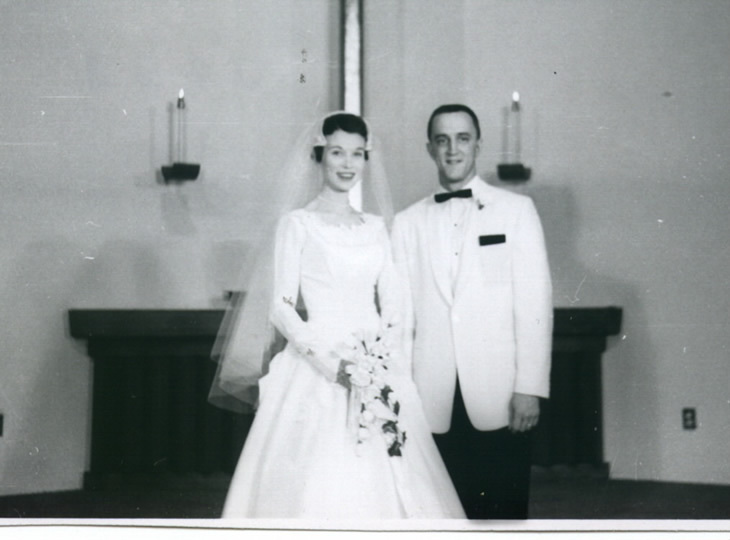 On December 20, 2009, Cecil and Shela celebrated their fiftieth wedding anniversary. 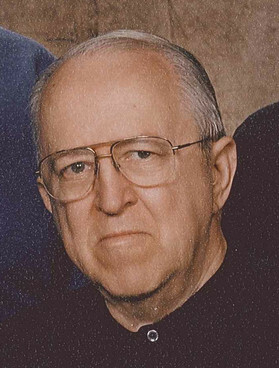 Cecil's obituary from the funeral home's web page may be viewed here. Descendant No. 163 - ROBERT LEE FRETWELL. Died 20 December 2011, Winchester, Virginia. Buried Keokuk National Cemetery, Lee Co., Iowa w/ashes scattered in Lewis Co., MO. SOURCE: Announcement by Connie Rae (Kuelper) Fretwell. Descendant No. 164 - RICHARD DEAN FRETWELL. Died 15 October 2015, Tucson, Pima Co., Arizona. Buried Providence Baptist Church Cemetery, Williamstown, Lewis County, Missouri. Wife Terri Frances Taylor Fretwell died 26 January 2007, Orange County, California. 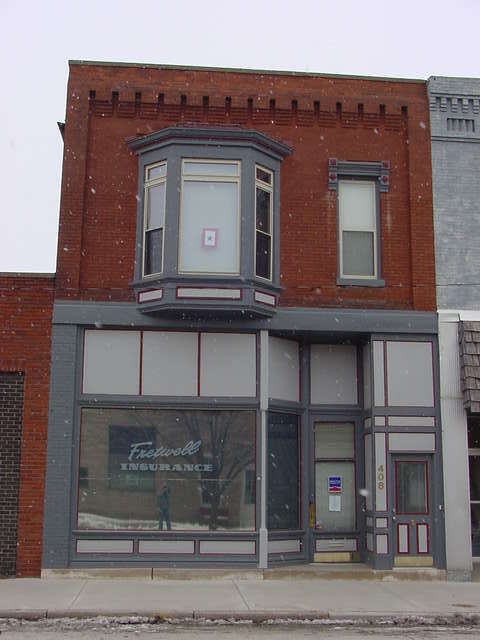 Photo of Fretwell Insurance (2007). Terry is an agent for Shelter Insurance of Columbia, Missouri with offices in both Canton and Lewistown. Child i. - Tara Nicole Fretwell married Derek Douglas Dicks, 15 March, 2003, Adams County, Illinois. Derek is the son of Norman and Anita Dicks of Quincy, Illinois. SOURCE: Wedding program. Melrose Chapel United Methodist Church, 3600 Payson Road, Quincy, Illinois. SOURCE: Attended wedding @ Trinity United Church of Christ, Quincy, IL. Descendant No. 169 - GARY WILLIAM FRETWELL. Lyon Township, Lewis County, Missouri. p. x - Mary FRETWELL married William BYROM. William Byrom was the head of household on the tax list of Buckingham County, Virginia in 1782. The family settled in Georgia in ca1784 and Mary died there ca1808. County, Georgia. Seymour married Polly Billingslea. Georgia. John married Cynthia Hardwick Fitzpatrick. Georgia. 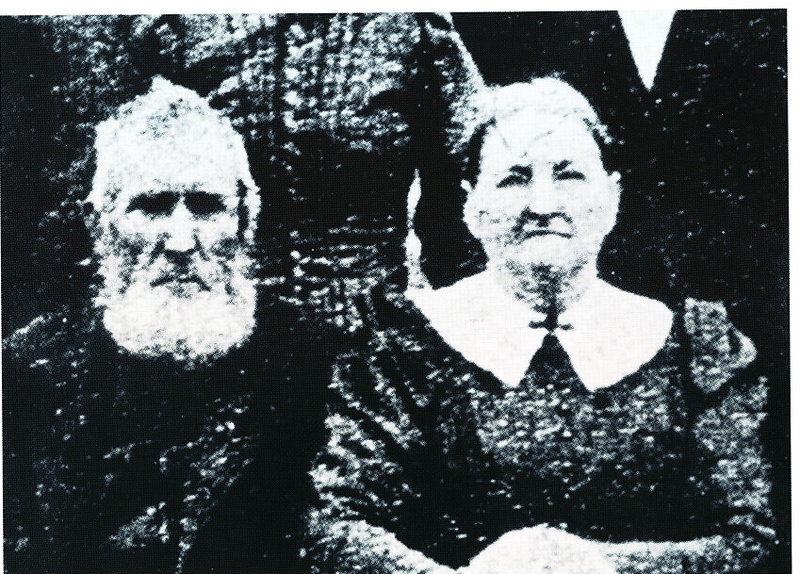 James married Mary Davenport. Georgia. Mary m1 WilliamBarksdale ca1800 and m2 Willis Pass ca1823. 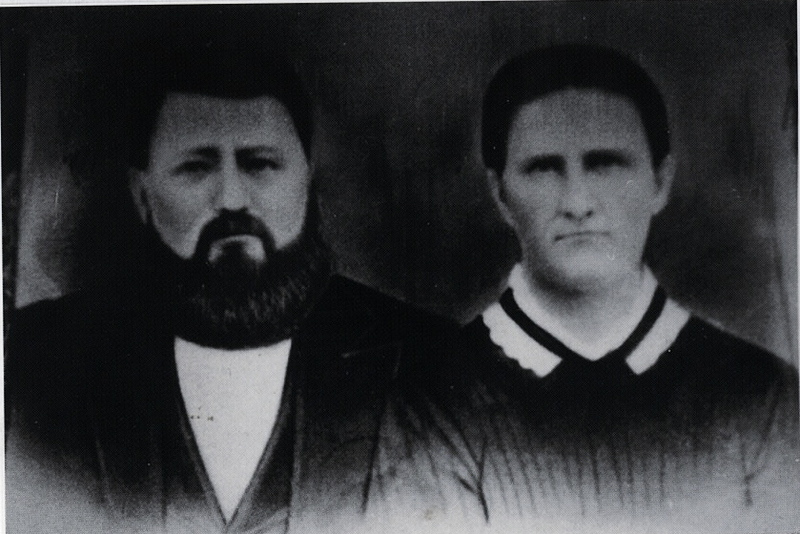 Davenport were the daughters of John Smith Davenport and Lucy Barksdale. SOURCES: Fothergill's Virginia Taxpayers 1782-1787. p 20. 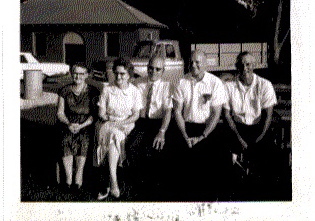 The Billingsley Family (Billingsly - Billingslea) in America. Let us know about the babies, marriages and deaths in your family when they happen. With your permission, we will post them here for the rest of the family.